For any unexpected need of our carrier and private fleet customers, TIP offers a flexible rental solution at a competitive rate. We supply immediate capacity from our fleet of trailers, reefers, chassis, and specialized equipment. For all our short-term rental agreements (shorter than 365 days) full service is included. That entails servicing, tyre replacement, axle and brake parts replacement, refrigeration unit parts replacement, other parts replacement and Roadside Assistance. Roadside Assistance service from TIP means you can rely on us to provide full support for your rented equipment, 24/7, at any location you require assistance. With our damage protection service, your rented equipment is protected against additional costs resulting from damage, fire and even loss of equipment. For your added convenience you can pick up at the workshop nearest you or we can arrange for the delivery and pick up of your rental equipment as part of the rental agreement. Our equipment is used to move all kinds of freight. We expect normal wear and tear and do not penalize our customers for putting our fleet to work. We expect and accept there will be some new marks, scrapes and scratches that are normal for the length of rental. We value your business and we treat our customers as we would expect to be treated. TIP provides a broad range of equipment with flexible financing options, including long-term lease solutions and innovative sale and leaseback structures. 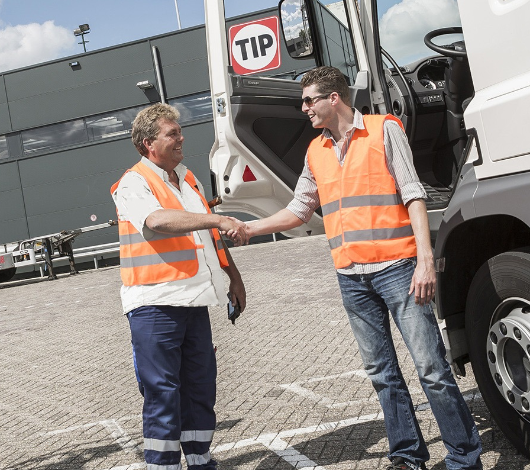 TIP offers a wide range of services to improve your fleet performance and reduce operating costs. We offer maintenance for all equipment types across their entire lifecycle. TIP offers an extensive breakdown recovery service for your transport equipment in Europe and North-America, with round the clock support, 365 days per year. With the availability of support in 18 languages, dedicated and our certified technicians are able to deliver roadside assistance that gets your drivers back on the road as soon as possible! TIP fleet consult offers a unique and comprehensive study that helps identify optimisation opportunities associated with the management of your fleet. If you want to rent a trailer, tanker or other type of equipment for less than 12 months, it will be considered as lease. If you wish to rent for more than 12 months, please see our leasing options. We have standard terms & conditions, they are integral part of a contract and added with every new contract. We can als send them on request. In what countries do you provide rental services? Please visit our map to find our service points near your location. What asset types do you have in your fleet? 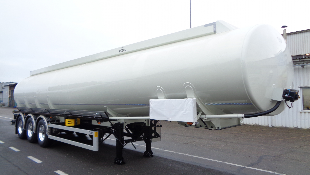 We have an extensive fleet of trailers and other assets. Most of our equipment is displayed here. If you submit a quote, we will assist you with your request. I would like to rent a trailer, tanker are other asset type. What is the first step? Please tell us what you are looking for, and we will provide you with a suitable offer. Can I rent a trailer that is higher than 4.0 meters? Please tell us what you are looking for we will assist you with your request. What is the rental price for day/week/month and what are the payment terms? This depends on the type of trailer you need. Please submit a quote and we will come back to you with the most attractive offer possible. Are all the equipment types on your website are available for rental in my country? Yes, all type of equipment that are presented under equipment are available for renting. What are the conditions for returning rented equipment? Please check our Fair Wear & Tear Conditions. Where can I pick up my rented equipment? Your pickup location is stated in your rental contract. Please refer to our Location Finder for all TIP locations. Where can I drop off my rented equipment? Under the standard conditions you should drop off the equipment at the same location where you picked it up. We can make exclusions on request, but additional charges may occur. Please contact your TIP account manager in this case. Could you provide an overview with services that are included in the rental agreement? For all hires of less than 365 days full service is included, which contains servicing, tyre replacement, axle and brake parts replacement, refrigeration unit parts replacement, other parts replacement and Roadside Assistance. Details for all maintenance elements can be found in the standard terms and conditions, which are an integral part of a contract and added to every new contract. We can also send them on request. Could you send us additional information about a specific type of equipment? Most of the information can be found on our equipment page. If you need additional information, please let us know and we will contact you as soon as possible. How long does it take to formalize a renting agreement? If you do not have an account in our system yet, it will take couple of steps to complete your profile. Start the process by submitting your quote. Will the equipment that I am renting have a valid MOT? We always provide our customers with serviced trailers and a valid MOT. What is included in full service in a renting contract? Full Service will comprise servicing, tyre replacement, axle and brake parts replacement, refrigeration unit parts replacement, other parts replacement and Roadside Assistance service and is compulsory for all hires shorter han 365 (three hundred sixty-five) days. A curtainsider is the most common type of trailer. It has flexible sides (curtains) and is suitable for almost all transportation. A van is one of the most common trailers in the road transport industry. It's a safe solution for transporting valuable or delicate cargo. 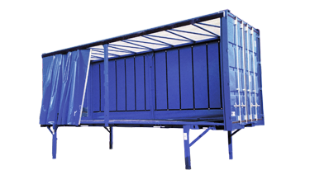 An open trailer is a flat trailer without sidewalls. This trailer is suitable for special transport of wide and long goods. A chassis is a trailer frame that can carry containers. A reefer is an insulated box van equipped with a temperature-control device. Tankers are a road vehicles that can carry liquids or powder. 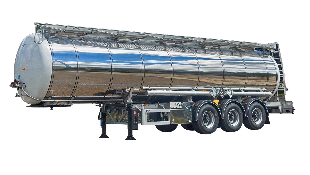 TIP offers a wide range of stainless steel liquid tankers for purposes varying from food to chemicals. 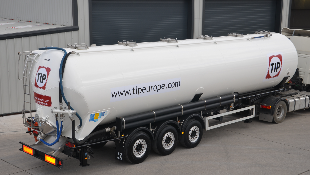 TIp offers specialized equipment for the transportation of different types of fuel. Our powder tankers are equipped to transport various types of cargo, from powder type products to aggregate products. A swap body curtainsider is an exchangeable freight container, with flexible sides (curtains), that can easily be separated from the carrier. A swap body reefer is an exchangeable freight container, with a temperature-control device, that can easily be separated from the carrier. 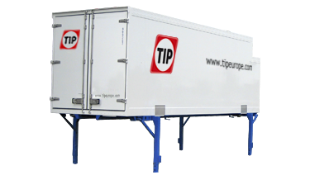 A swap body tilt is an exchangeable freight container, with flexible sides (curtains), that can easily be separated from the carrier. A swap body van steel is an exchangeable freight container that can easily be separated from the carrier. The moving floor trailer is flexible and diverse for easy loading and unloading of bulk and general cargo as well as combined loads.